After using GHDs for years, I decided to buy the Cloud Nines for our studio (based on the fact that they were designed by the guys who originally designed GHD's). 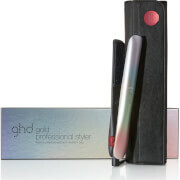 Really love the feel of these, reminds me how good GHDs were when they initially came out. It's great that they switch themselves off as currently GHDs have that annoying beep when left on. Ordered for HQhair at a bargain price, added bonus. I was reluctant to part with my previous brand which I had used for many years but I am so glad I did. I came across this brand in my hair salon and I was so impressed but I was unsure if I could achieve the same look at home. This product definitely delivers and leaves your hair looking amazing! 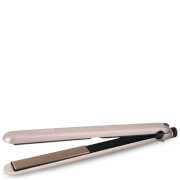 Really easy to use, optional temperature ideal for fine hair, smooths hair without pulling and leaves hair with amazing shine. I would definitely recommend. 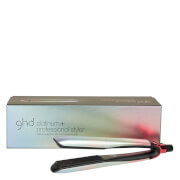 After my faithfully GHD's gave up the ghost I did some research and decided to invest in my Cloud 9 Touch straightners. I haven't been disappointed . No need to turn them on with buttons, you just touch the plates together and within seconds they have heated to 195 degrees . Touch the plates 3 times and you can lower the temperature . If the plates have no contact after 30 seconds they automatically switch themselves off. Couldn't be easier . I would highly recommend this product.